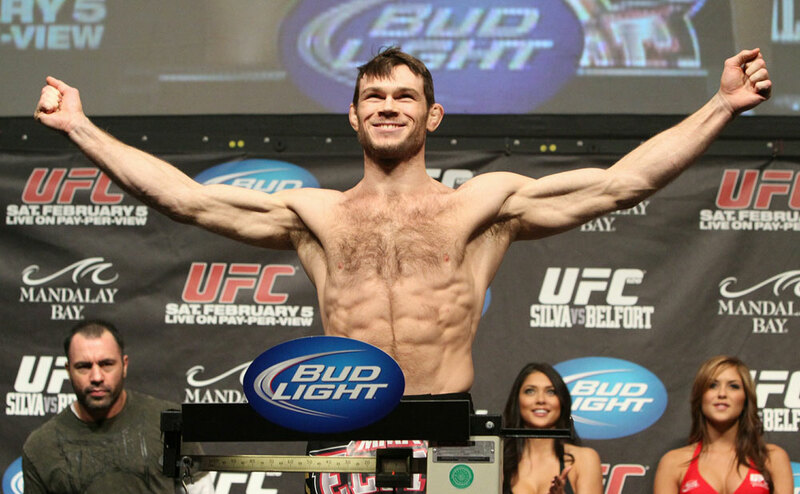 In 2005, shortly after winning season one of The Ultimate Fighter, the idea of stardom hadn’t set in for Forrest Griffin. Forget that he almost single-handedly put mixed martial arts on the mainstream map with his stirring three round victory over Stephan Bonnar on April 16, 2005 and captivated a nation with his self-effacing humor and ability to smile through a mask of blood. He was just another guy taking out his stitches with the aid of an Xacto knife nine days after the biggest fight of his life. He remained the same guy – celebrity sat unsteady on his head, he’d rather have a good book – particularly one of the two New York Times bestsellers that he’s written - in his hands than doing the rounds of the hottest clubs, and life was fairly simple over the course of his seven-year UFC career – train, eat, train, sleep, train, fight. Throw in the usual media obligations and you've got the picture. But as the years went by, the Georgia product was no longer seen as an unknown brawler looking to make a name for himself while trying to earn a spot in the UFC. Instead, he became a world champion, a Hall of Famer, and one of the seminal figures in the rise of the sport. Yet by staying humble and grounded, he was able to keep myself on an even keel because in this game, more than in any other, there are no guarantees, and Griffin’s career is a case study. On top of the world after beating Bonnar in April of 2005, Griffin would win his next two bouts over Bill Mahood and Elvis Sinosic before a high-profile clash with former UFC light heavyweight boss Tito Ortiz in April of 2006. On a UFC 59 card aptly titled ‘Reality Check’, Griffin survived a frightful first round beating to come back and arguably win the next two rounds. He would lose a close decision to Ortiz, but his stock may have risen even higher in defeat. That wasn’t the case two fights later, when Keith Jardine halted him in the first round in December of 2006. Unable to accept simply getting caught and stopped, Griffin questioned himself incessantly after the bout’s conclusion, wondering if he could compete with the best in the division. In his return against Hector Ramirez at UFC 72, Griffin showed a different side of his fight game as he picked his foe apart methodically and with a discipline he sorely needed. No longer was it ‘hit Forrest and watch him put his head down and swing away.’ He looked like a contender. 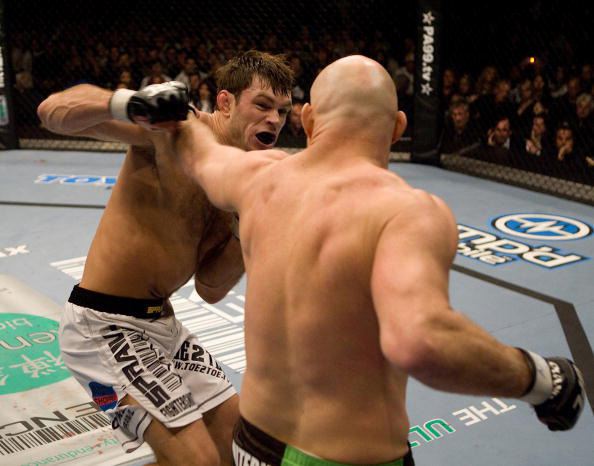 And on September 22, 2007, most questions about Forrest Griffin disappeared in 14 minutes and 45 seconds, the time it took him to dominate and then submit Mauricio "Shogun" Rua, the PRIDE star with the reputation as one of the top 205-pounders in the world. Griffin made him look like he shouldn’t even have showed up for the fight, and when it was over, the idea of Griffin as light heavyweight champion wasn’t so far-fetched anymore. But it was on July 5, 2008 that he fulfilled all his promise with a fight for the ages against Quinton “Rampage” Jackson. For five rounds, the two battled tooth and nail in search of victory, and it was Griffin who got it with a unanimous decision. He would lose his crown five months later to Rashad Evans, and at UFC 101 in August of 2009 he got knocked out by Anderson Silva, but after dealing with a myriad of injuries, Griffin won three of his last four bouts over Ortiz (twice) and Rich Franklin, ending his career on a high note that culminated with his induction into the UFC Hall of Fame in July of 2013. This updated profile was excerpted from the UFC Encyclopedia.